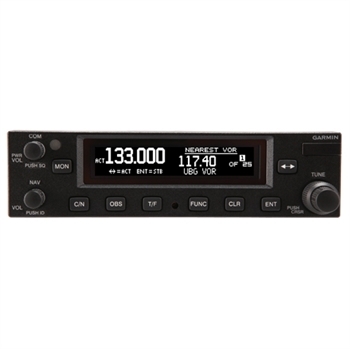 The new GNC-255B features a 16w 760 channel com transceiver, 200 channel Nav/ Glide-Slope receiver, and offers a variety of features never seen before in a stand-alone Nav/Com radio. A unique internal database makes it easy to find all frequencies at any given airport or VOR just by looking up the location name or identifier, or easily find the nearest airport, ARTCC, FSS, and VOR. It will also automatically recall the 20 most recently used frequencies as well as permanently store up to 15 frequencies. 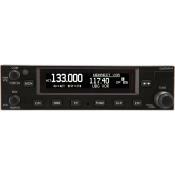 GNC-255B also features a large easy to read active/standby “flip-flop” display, standby frequency monitor function, internal 2-place voice activated intercom, built-in elapsed timer, and includes 8.33kHz spacing to comply with the European airspace mandate. GNC-255B works well with the Garmin series of Garmin EFIS flight displays and Nav Indicators, and can integrate with most autopilots. System includes mounting rack, connector kit, and basic wiring harness.